Imperial Oak Brewing is a small (7 bbl) brewery that puts the beer first. Our focus is on imperial strength and barrel aged brews but we offer an ever changing variety of styles to satisfy a wide range of tastes. 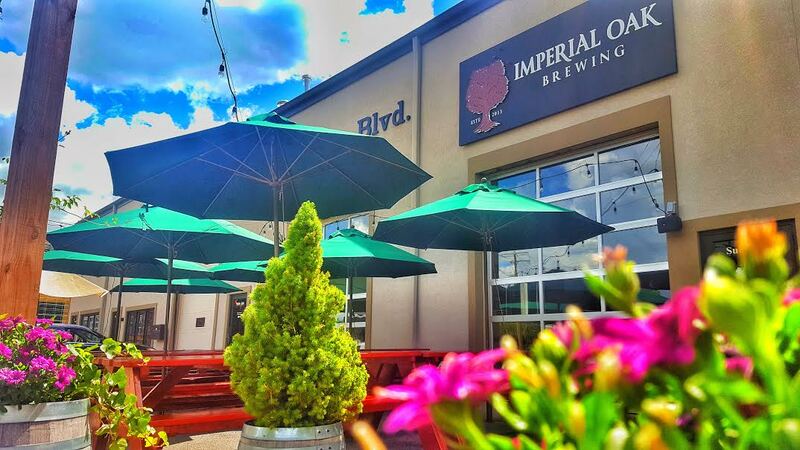 Imperial Oak Brewing is the vision of two home brewers (Brett Semenske, Grant Hamilton) and the owner of a craft beer bar (Chris DiBraccio) who have a passion for making (and drinking) great beer. Our beers are sold primarily in house with limited, local distribution. We offer a wide variety of beer on tap, in on premise bottles, and to go in cans, bottles, growlers and crowlers (32 oz cans). We also do monthly releases of various barrel aged beers. Since we are a small brewery we brew a wide variety of styles and do quite a bit of small batch experimentation. We use barrels from local distilleries, barrels that held spirits other than whiskey, wild yeast and bacteria, fruits and spices. Every week there are new beers going on tap. Our goal is that every time you come in there is something new to try. The Imperial Oak tap room is comfortable and inviting, while at the same time, it maintains the feel of a working brewery. You will watch your beer be poured from a custom made tap handle and be able to sit and enjoy our beers at one of our custom made bars or at custom made tables. The brewing areas are open and visible from the seating areas separated only by a half wall. In the tap room beers are sold in appropriate glassware for the style and in sample flights. Since our focus is on the beer first, we do not have a kitchen. We do however, have food trucks every Thursday thru Sunday, and we allow our customers to bring in or order food. The Savage Oak Room is our adjacent, sour/wild brewing space with additional seating and an auxiliary bar. The Savage Oak Room is available to reserve your parties, you can use the contact page of this website to get your reservation started. We also have a large out door seating area available during the warmer months. Dogs are allowed on the patio area but are not allowed inside the brewery. about, parties, tap room. Bookmark.